Who would have thought that with all we were tackling with Mercy 2.0, that one of the most challenging tasks would be finding a great iPad case to include with the “Mercy iPad Package”. The first consideration of course was whether to include a case at all as part of the package. We were persuaded to do so by two compelling arguments: 1) Giving each girl an Mercy branded iPad was very appealing. 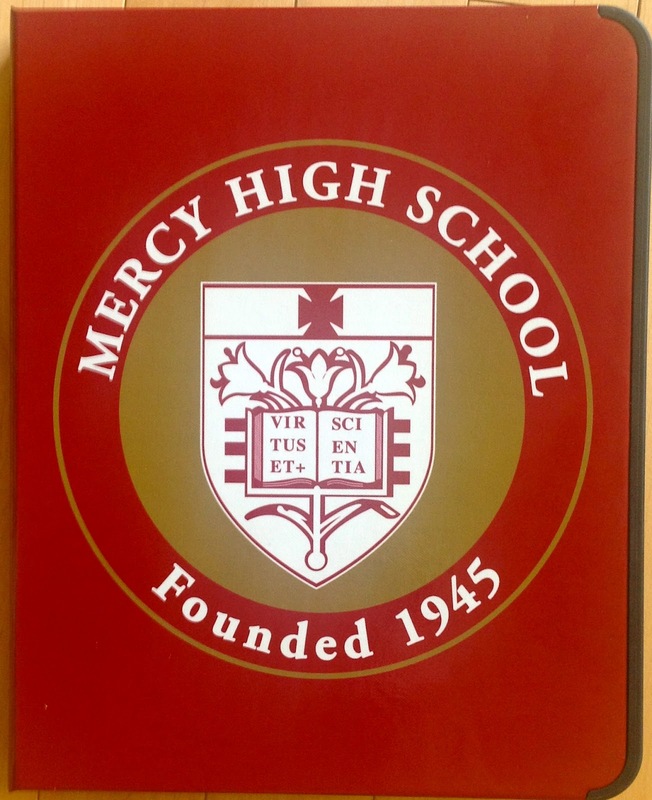 I have already discovered at carrying the iPad in a Mercy case is a great conversation piece for our school and a source of personal pride. A classy case signifies a classy program. 2) More importantly, we wanted to hand over the iPads to our kids in a protected condition. No one wanted to see a screen break in the parking lot the first day of ownership. As we investigated cases, we were immediately challenged by a lack of availability. Since we were among the very first adopters of the 3rd generation iPad (which are shaped slightly differently than the iPad 2), we could not get our hands on 3rd generation cases. Nevertheless, our Marlin Shop manager did a terrific job of rounding up samples. After looking over dozens, we exhibited the samples of those which our IT team considered sufficiently protective. Students and staff then voted on the samples. At this point, we realized we had blundered. Due to some miscommunication, we had exhibited some very expensive products among those which fit our Naturally, the #1 choice was about $30 too expensive. This story has a happy ending, however. Though we continued to research possible cases diligently, we also did some hard-nosed negotiating with the producers of the more expensive cases. In the end, we agreed to terms for a large order of our #1 choice of cases at nearly 50% off the retail price. The Mercy case is the Powis iCase. It features a gorgeous, classic logo that everyone who has seen it loves. It has an “academic” book-like encasement. As the Powis site will tell you, it also is camera ready. It features, a stylus holder, hand strap, as well as nine different prop-up positions. I believe we have found an iPad case worthy of Mercy 2.0!